Adi Nes stands out as one of the most important art photographers in Israel. Through 20 years of activity, his artwork has been groundbreaking while clearly presenting the multilayered complexities of Israeli identity. 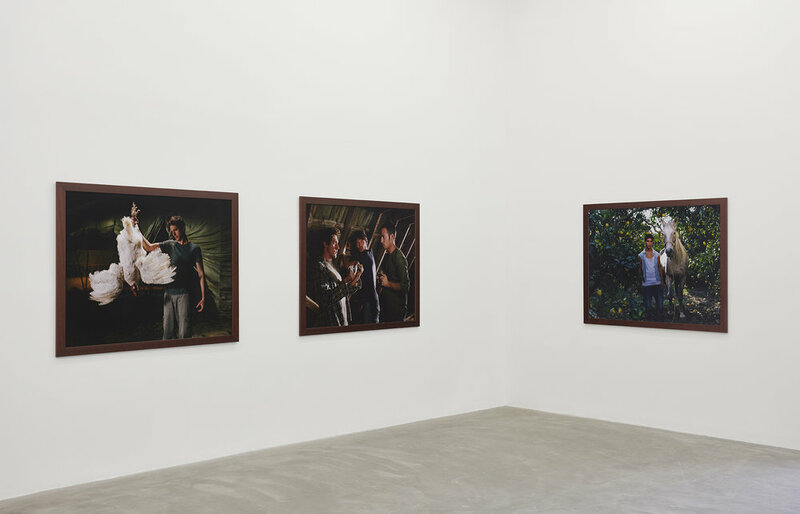 For his fourth show at Praz-Delavallade, a selection of various series will be unveiled. 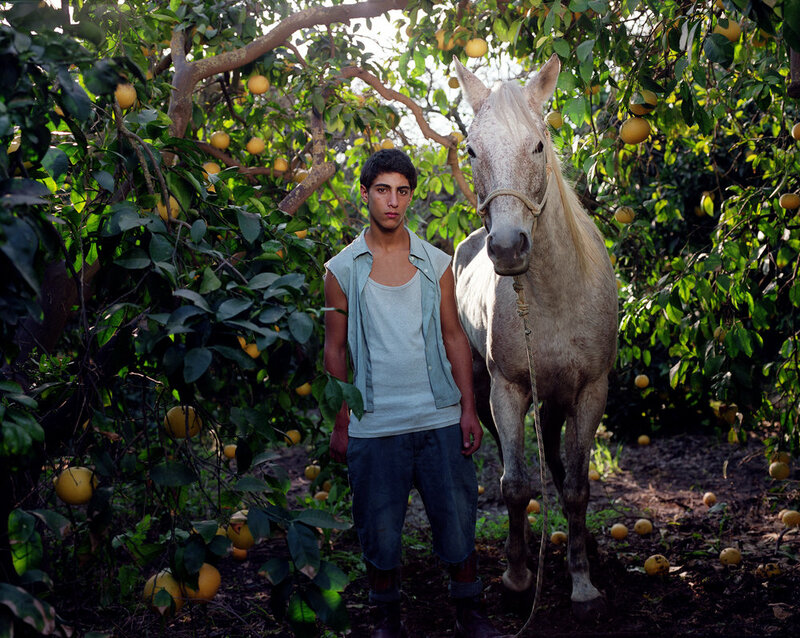 Central themes in Adi Nes’s photographs deal with the issues of Israeli identity and masculinity. 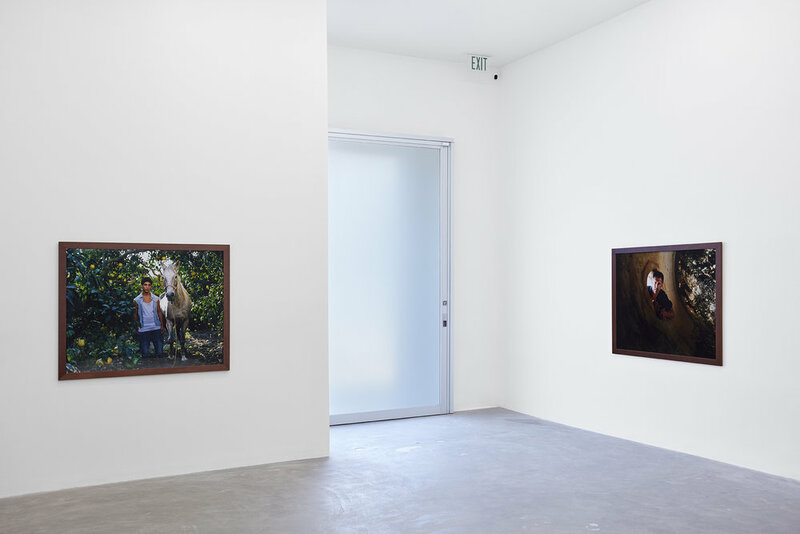 His works wrestle with social and political questions revolving around gender, the center versus the periphery, Eastern versus Western cultures, ethnic issues, Judaism, local myths, militarism, humanism, and social justice. As a photographer working in Israel, Nes makes meticulously crafted images that are both autobiographical and attest to living in a country in conflict. His photographs are reminiscent of Renaissance or Baroque paintings, often based on parables and collective cultural memory. 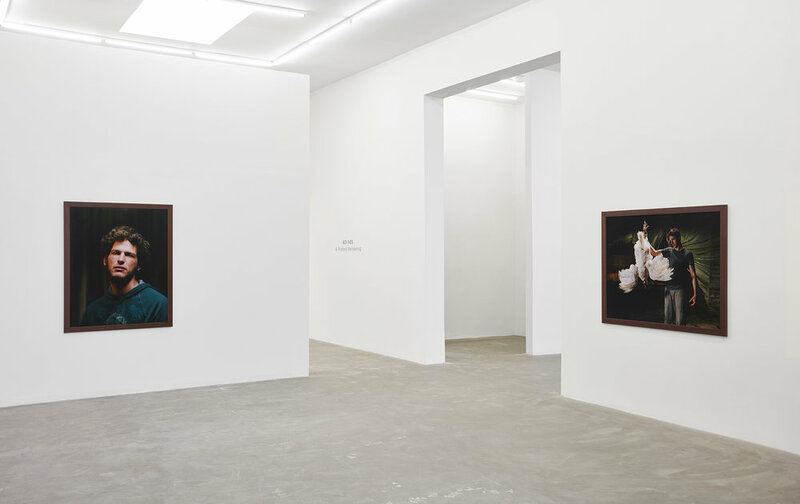 Sexual tension is ever-present in Nes’s work, as he delves into complex explorations of homoeroticism. His goal is to reveal a universal humanism in his dramatic portraits. In one of his most well known images, Nes recreates Leonardo da Vinci’s ‘The Last Supper’ but replaces the central figures with Israeli solders. This photograph appeared on the front page of the New York Times in 2008 and helped establish Nes as one of Israel’s most acclaimed photographers. “My staged photographs are oversized and often recall well-known scenes from Art History and Western Civilization combined with personal experiences based on my life as a gay youth growing up in a small town on the periphery of Israeli society.” says Nes in an interview at the Israeli Center in San Francisco.